We didn't plan to visit the temple complex today. With the Yayoi festival canceled this year (or rather - with only the ritual part of the festival performed behind closed doors) there was no reason for us to schlep all the way up there. But we did anyway. And we got stuck in a massive traffic jam on route 119. The reason for that? A huge fire that destroyed four houses along the street. Gone is one coffee shop, one soba shop and I don't remember what else was there. When we got to the temple complex (yep, that's that World Heritage Site in Nikko I'm talking about here) it was deserted. I've never ever seen it that empty on a beautiful sunny Saturday. Apart from literally a handful of Japanese tourists and one annoying Farsi-speaking woman who insisted on smoking inside a souvenir shop, there was nobody else. I'm pretty certain I was the only foreigner there. The fact that the public festivities of Yayoi were canceled didn't help either with bringing more people to town. And now I'm hearing that there will be no Toshogu Festival this year either. That means no Thousand Warrior March, no Yabusame, no glitz and show normally expected in the middle of May. Stupid, if you ask me. If Nikko city really wants to bring tourists back, they should be ADDING events, not canceling them. They should entice hotel and pension owners (especially those of high end establishments) to reduce prices, create a multi-lingual promo campaign and do stuff. Why specifically high end establishments? 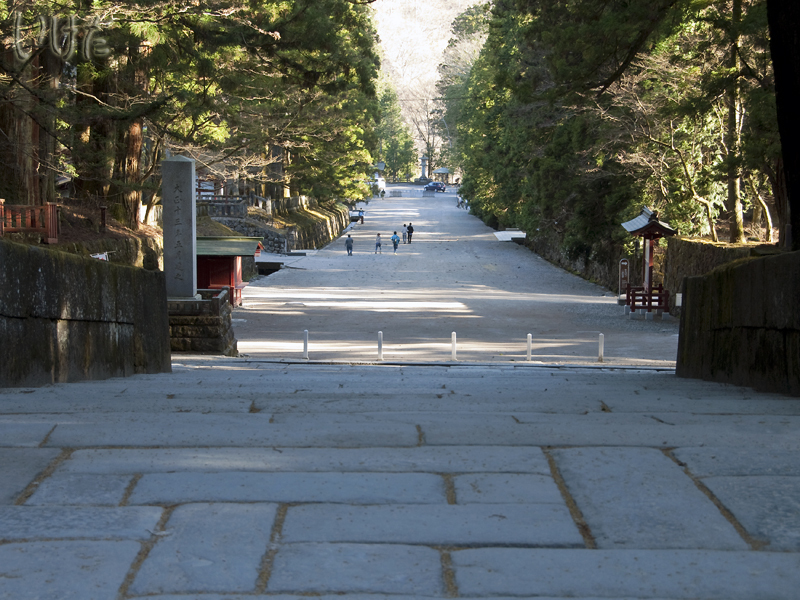 Because that's the best and most memorable way to experience Nikko. And usually people who stay at such places (translation - they're not yen pinching backpackers) have more disposable income to spend on other things and support local economy. But nooooo... owners of fancier places would rather starve or close shop for a while than reduce room prices. That's Nikko for you, sadly. But the same can be said for other areas in Japan as well. Many business owners b*tch and moan that tourists are not coming right now. Yet, if you start digging deeper, you find out that they don't really mean foreign tourists. They mean retired Japanese who have nothing better to do with their time than travel the country. Yet even the places that cater to foreigners are either unwilling or unable to come up with a promotion plan. Because it's so much easier to sit and complain that so few people have visited Nikko this month compared with the same time last year. Myself, I'll be back at Toshogu next Sunday to participate in the annual clean-up event. Yep, it's scheduled early this year. At least they had the good sense to hold it on a weekend. Because with Nikko, you just never know what kind of idiotic planning might be forced upon you. But that's all part of the charm, right? And we wouldn't have it any other way. Nikko rules!